I first connected with Linnea when I offered to write a guest post for her blog. Now, that post is mirrored here with her permission. The initial post went so well that I decided to offer her a follow-up guest post, and after accepting the second guest post, Linnea broached the subject of maps. 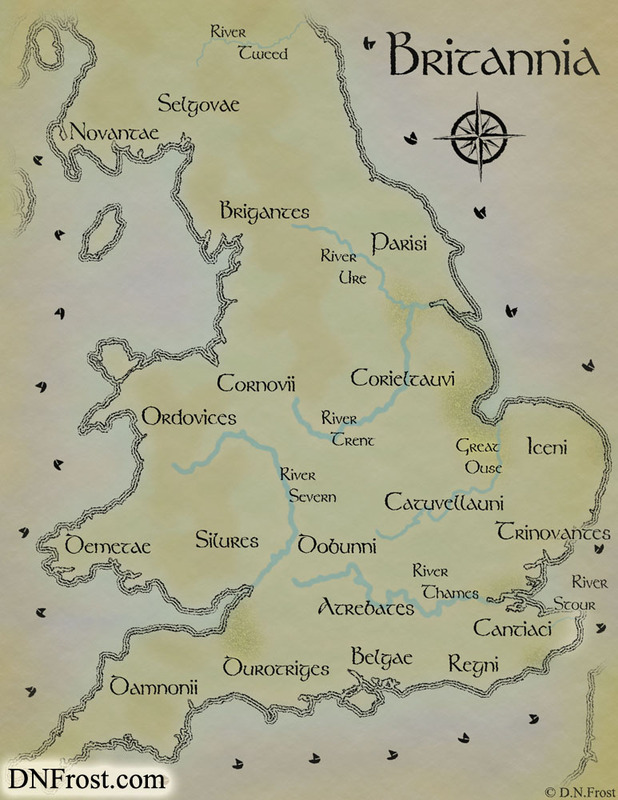 Her first novel in the Apollo's Raven series is ready for publication, and she wanted a map to accompany the story. Linnea writes historical fantasy set in the world of the ancient Celts. Though grounded in history, Linnea's stories explore the mythos of Celtic spirit warriors, and she invokes a lot of Celtic mythology and magic in her tales. While I specialize in mapping fictional worlds, I was quite excited to map a real-world location. Linnea and I set up a time to talk on the phone about her map needs and how my commissions work. The phone call went great. I answered all Linnea's questions about cost, time, and the commission process. I also asked her some probing questions about the sort of map her story needed. Based on her needs, we decided that an overview of England would suit her needs best. 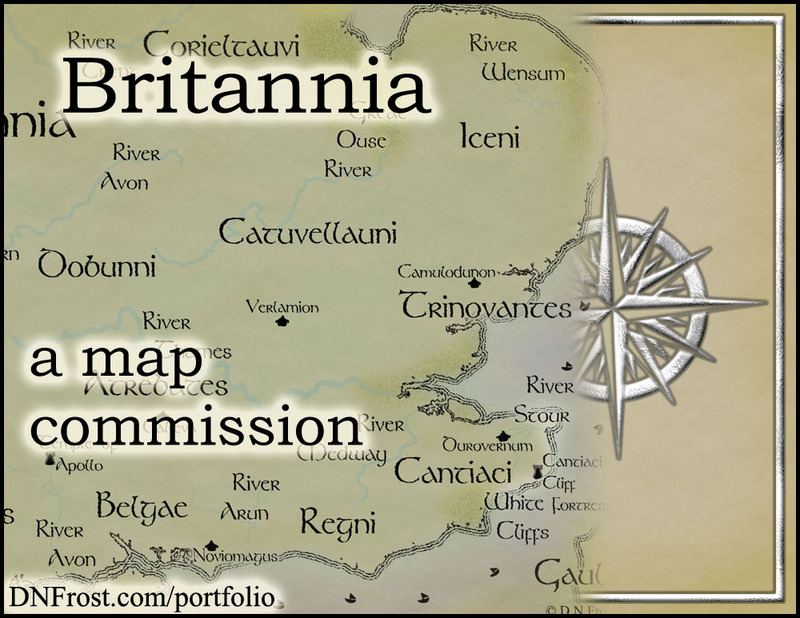 The long, skinny island was well-suited to a portrait-style map, and I was excited about my first portrait-oriented commission.